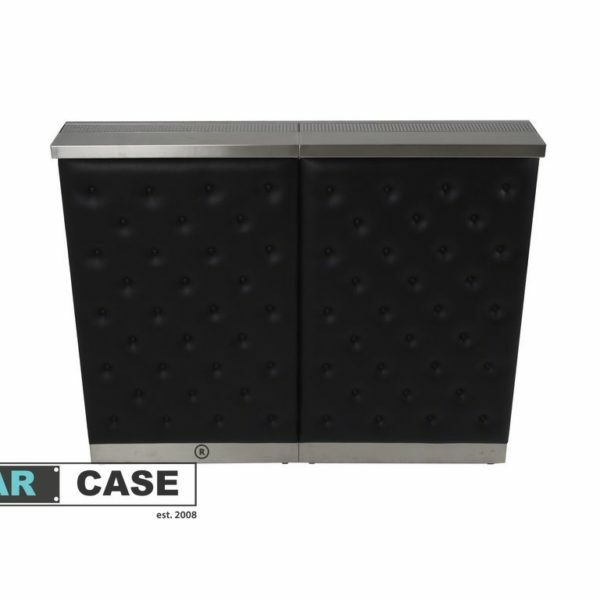 Bar model – Exclusive Flair Bar – Steel – enriched both with exclusive white or black quilted padding (at the front and sides) and, most of all, with an eye-catching and practical worktop made from stainless steel together with a draining board! Serving counter made from stainless steel is foldable and fits in in the case together with the bar. 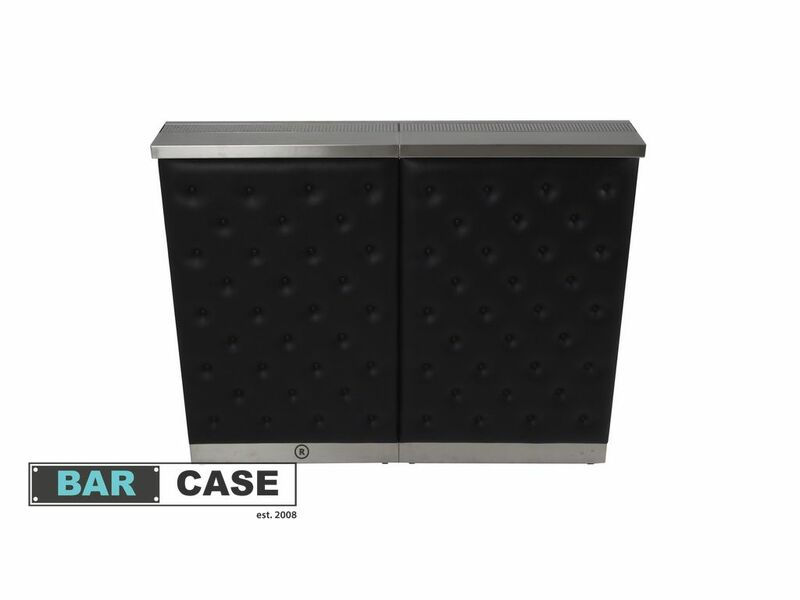 The stainless steel serving counter with exclusive quilted leather padding makes the bar look different, attractive, and stable! Quilted bar front has been additionally enriched at the very bottom with a protective stainless steel frame! It prevents damage caused by guests who approach the bar. The quilted front has a special boltless assembly system! Front and sides can be set up in 30 seconds!!! Exclusive Flair Bar – Steel Undoubtedly one of our bestsellers! Recommended by bartenders from all over the world! We are really proud of this bar!